Accident attorney and personal injury lawyer Mat Parke, is an aggressive and trusted Harvard law school graduate who handles personal injury claims in Eugene, Oregon and other surrounding areas including Springfield, Cottage Grove, Creswell, and Vaneta. 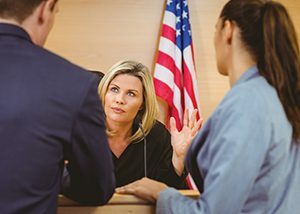 Our personal injury attorneys and accident lawyers in Eugene, Oregon have successfully recovered incredible money settlements for clients injured in motor vehicle accidents such as car accidents, motorcycle accidents, and semi truck accidents causing a wide range of injuries from minor whiplash to wrongful death. Parke Gordon Law Firm has experienced, trusted and aggressive lawyers willing to fight for you! You can beat Goliath! Call our Eugene law office now for a free consultation to discuss your personal injury case! Our clients love Parke Gordon Law Firm and you will too! Parke Gordon law is the number one law office to call. They handled my case as if I was family. Every time I called and had a question it was answered, every detail of my case was explained to me, and they did above and beyond to make sure that I was compensated, and that my case was handled exactly how it's supposed to. This was my first time (and hopefully my time) ever dealing with a personal injury lawyer but I can't imagine any other law office that could top the customer service and the experience and the thoroughness that Parke Gordon did. I will always be forever grateful. we would like to thank everybody at Parke Gordon law for all there help and time with my daughters case . I would recommend them to any of my .friends . The staff is amazing I love all of the attorneys we have had to deal with. I wouldn't reccomend anyone else other than Parke Gordon they truly know what's best for you and help you in any and every way they can. This is why we keep Parke Gordon for our attorneys when we need them! 😀 Mat,Connor and Jane are the best attorneys we've ever had the pleasure of having! They will forever be our go to firm! Amazing representation! I would definitely recommend Jane Gordon to anyone seeking personal injury representation! Jane and her staff were always responsive and efficient. An incredibly reliable and qualified group of people who truly care about their clients and go the extra mile. Highly recommended. First time having to deal with a lawyer and needless to say, it was simple, smooth and easy! The team was easy to access by email, would return phone calls in a timely matter and had all the information you were looking for. They helped big time in my motorcycle accident. I would recommend them to any and everyone! The only complaint I have, is that fact I didnt get to meet everyone on the team. Had plenty of over the phone conversations but not alot of necessary face time. I hope to never have to utilize a lawyer again but if I do, I know exactly where to go!!! I sent my elderly friend to Parke Gordon and they have really taken care of her, walking her step by step through the process. They are great communicators and even better negotiators. The Parke Gordon Law office was a great assistance to me during my car accident settlement process. Not only were they available to answer and resolve my concerns in a timely manner but they were able to secure more than I anticipated for my settlement. Great job every step of the way! My experience with Parke Gordon Law was the most amazing stress free experience. After dealing with insurance adjusters and making feel like if I was in the wrong was very overwhelming. I was wanting to do everything on my own, I didn’t feel at the time I needed help, I was hoping that the insurance adjusters words of kindness and telling me he was only wanting the best for me, were all true words, but I was wrong. Bills were starting to pile up and some doctors visits were not being covered by my health insurance. Many calls to the insurance company and many conversation with the adjuster I was being told that they could only cover so much. The value that they were offering me was a lot less than my bills were and I was still continuing with treatment. Finally I decided to reach out to Parke Gordon Law for them to handle everything. Calling was the best decision I could have made. Once I signed with Parke Gordon I no longer had to worry about the conversation with the insurance adjuster, I only had to go to my treatments. There were a lot of things during my Doctor visits that the insurance company didn’t not want to accept or pay. The Parke Godon team went above and beyond to make sure my pain and suffering was acknowledged and all my medical bills paid. Special thanks to Boise team. I never had to worry about anything slipping through the cracks. Jane Gordon attorney was specially helpful to me. Jane always helped me make sense of everything and made me feel comfortable through the whole process. I highly recommend Parke Godon Law and team to help you Automotive injury or any other any injury. If you want to be stress free and not have to take care of the details and only want to go to treatment please give them a call. You will not be disappointed. 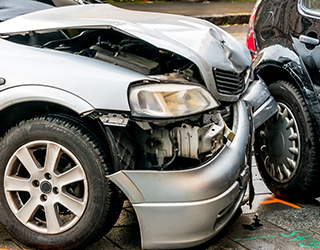 If you've been injured in a car accident, contact the experienced, aggressive and trusted car accident attorneys at Parke Gordon Law Firm in Eugene, Oregon to handle your case. 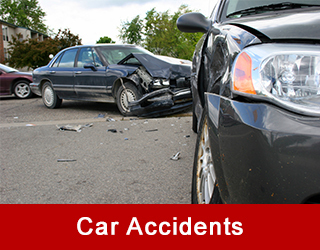 Our auto accident lawyers will fight for every penny you are owed and represent your best interests. The law office of Parke Gordon has a track record of successfully recovering compensation for clients injured in a car accident due to the negligence of a careless driver. Drivers who have run stop signs, run red lights, or not paying attention behind the wheel should be held accountable for their negligence. Our law office in Eugene will help you get a fair settlement for injuries you have suffered. The personal injury lawyers at Parke Gordon Law Firm will help find appropriate medical care and treatment as well as ensure that medical bills are being paid by the right insurance company. 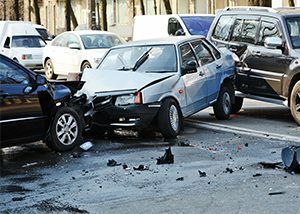 Our attorneys will investigate the claim, request accident reports, interview eyewitnesses, and take photos of the vehicles involved in the accident and the accident scene. After a client's doctor releases them from care, our attorneys will aggressively negotiate a settlement with the negligent driver's insurance company to pay you for all of your damages. We recover compensation for lost wages, for medical bills, lost business opportunities, economic losses, pain and suffering, and emotional distress. When a family member is killed in a serious car accident due to the negligence of an irresponsible driver, family members and dependents of the deceased may file a wrongful death claim. 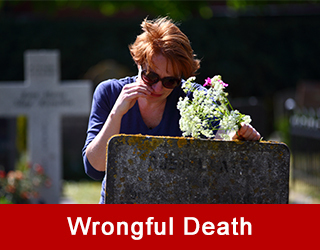 Wrongful death is a legal term to describe a claim after the death of someone caused by negligence. Only certain persons can make a wrongful death lawsuit against a person who wrongfully or negligently causes the death of another. 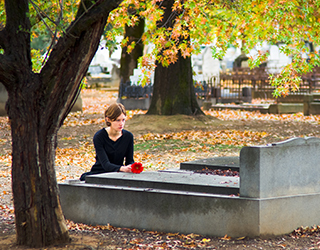 Parke Gordon Law Firm attorneys are experienced with wrongful death claims and understand who is entitled to pursue a wrongful death claim and what role the estate has in the proceedings and settlement of the claim. Wrongful death claims involve high damages and complex legal issues that an attorney at Parke Gordon Law Firm in Eugene can handle to make sure you receive the compensation you deserve. 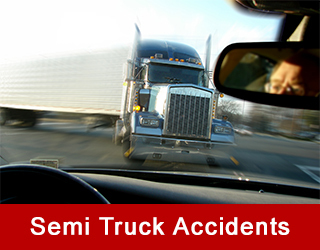 Semi truck accidents or tractor trailer accidents can cause serious injuries and are governed by federal and state laws. Due to the potential for serious injuries, trucking companies and commercial drivers are subject to extensive safety regulations, both state and federal. An investigation is necessary to determine whether the trucking company and commercial driver failed to follow these regulations. If not, large punitive damages may be awarded for patterns of willful and reckless behavior to victims of semi truck accidents. 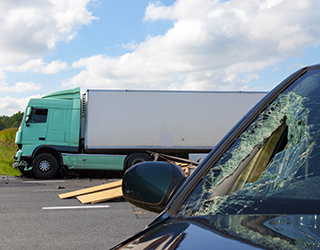 A person injured in a semi truck accident is entitled to recover a number of different types of damages, categorized as either economical or non-economical, or special or general. Many people settle for much less than they could recover from the trucking company or its insurance company because they did not hire a truck accident attorney and do not know what types of damages are available to a truck accident victim. Our experienced truck lawyers in Eugene can build your case by employing experts to investigate liability, produce life care plans, economic analysis, and make a vocational rehabilitation assessment to maximize the value of the damages you are entitled to recover. 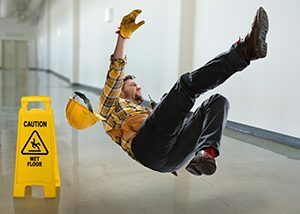 Slip and fall accidents occur when a business or residential owner negligently fails to keep their property free from dangerous conditions. Property owners are liable for the damages caused when someone slips and falls on their property. Many of our slip and fall accident clients are injured on snow or ice on residential sidewalks or steps, or business entryways. A business is also responsible to ensure that their floors are free from water or other liquids that could cause a person to slip. 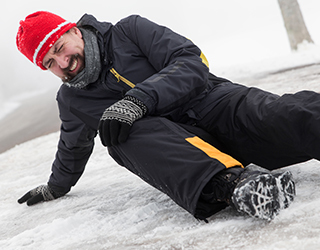 We will bring a claim against the homeowner's insurance company or a premises liability carrier for injuries due to a slip and fall. 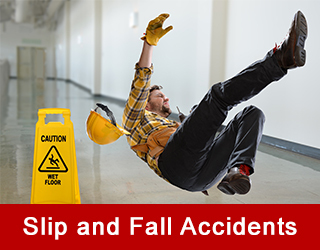 The slip and fall accident attorneys at Parke Gordon Law Firm in Eugene help get clients a fair settlement. Our law firm will recover money for your injuries, pain and suffering from a slip and fall accident. 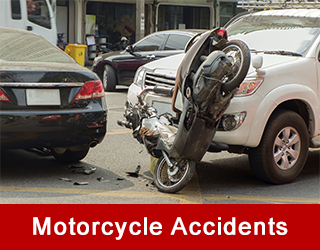 Motorcycle accidents cause serious injuries that often lead to costly medical expenses. Let the trusted and experienced personal injury attorneys at Parke Gordon Law Firm handle your motorcycle accident case. We will work hard to get you every penny you are owed from the negligent party. Our law office will also work with your doctors and hospitals to uncover insurance to compensate you for your motorcycle accident injuries. In addition, we will help you deal with your medical bills, lost wages, and property damages resulting from a motorcycle accident. 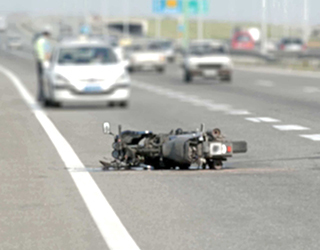 Our motorcycle accident lawyers have the experience and knowledge to get you a fair settlement for injuries sustained in a motorcycle accident. Call our law office today for a free consultation. This is your opportunity to discuss your motorcycle accident an experienced, trusted and knowledgeable personal injury attorney. After being bitten by a dog you may be wondering if you should take legal action. Dog owners are responsible to keep their dogs under control and to prevent their dogs from biting people. Dog bites often leave scars and disfigurement. 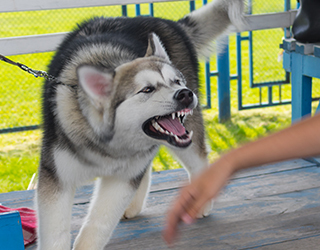 Many dog bite injuries happen on visible places like the face, hands or arms and can cause embarrassment and humiliation to the dog bite victim. 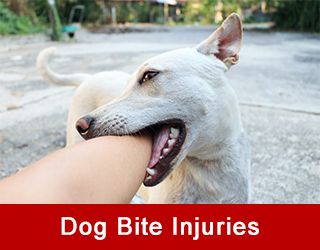 Contact the dog bite attorneys at Parke Gordon Law Firm in Eugene to handle your dog bite case. Our dog bite attorneys and lawyers will ensure that dog owners are held accountable for the injuries and damages caused by their negligence in failing to prevent their dogs from biting innocent victims. Call Parke Gordon Law Firm now for a free consultation to get started on your dog bite case. This is your opportunity to discuss your dog bite injuries with an experienced and trusted personal injury attorney. 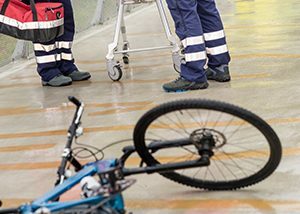 Bicyclists injured in a bicycle accident have a right to recover money damages from drivers who negligently and carelessly run over or into a bicyclist. Parke Gordon Law Firm will fight for every penny you deserve. Our attorneys are avid bicyclists and are passionate about protecting the rights of bicyclists. 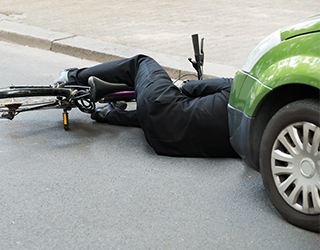 If you've been injured on a bicycle by a careless driver who did not share the road or refused to respect the rights of bicyclists, let us represent you. Our experienced attorneys can get you more money, faster. We will fight for every penny of compensation you deserve. Contact our Eugene law office now for a free consultation. This is your opportunity to discuss your bicycle accident with an experienced, trusted and aggressive personal injury attorney. Call our Eugene office at (541) 485-4878 to get started on your case. 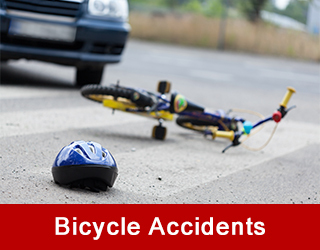 What Should I Do if I’m in a Bicycle Accident and the Driver Leaves? Why is My Car Accident Settlement Taking So Long?